I’m fascinated by local history; while having lunch at Capriccio today we wondered what the story is behind the building across the street from where we were sitting. 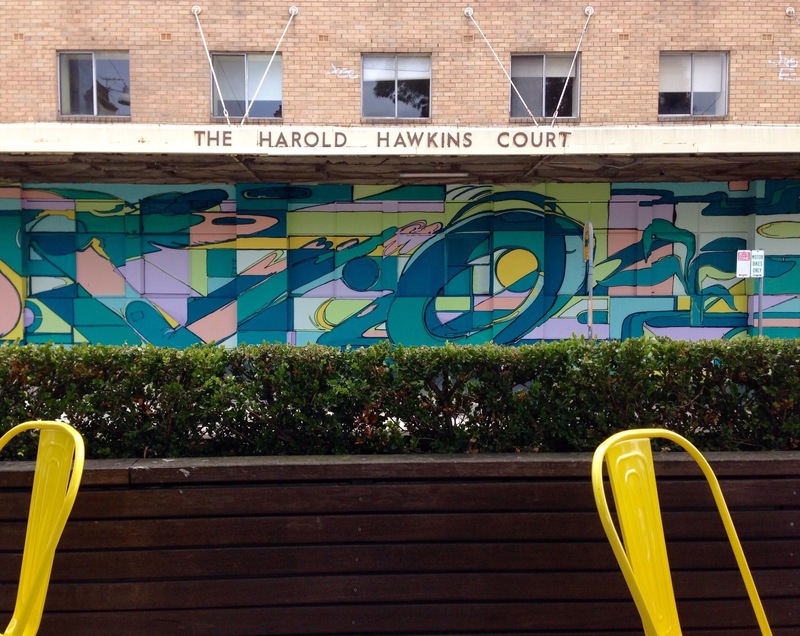 Until about a month ago the ground floor of The Harold Hawkins Court was adorned with flaking beige paint and graffiti. The colourful abstract mural is a welcome improvement. An Internet search revealed a Uniting Care media release from June 2014. Dame Pattie Menzies opened Harold Hawkins Court in August 1964. At the time, it was a state-of-the-art facility providing a home for up to 120 senior citizens. However, Harold Hawkins Court, which is located in the heart of Leichhardt’s iconic Norton Street, has stood empty and neglected for most of the last 10 years. By continuing with my search I hit the jackpot a few webpages later, it turns out the building started off as a theatre. Large inner west theatre running typical suburban double bills. 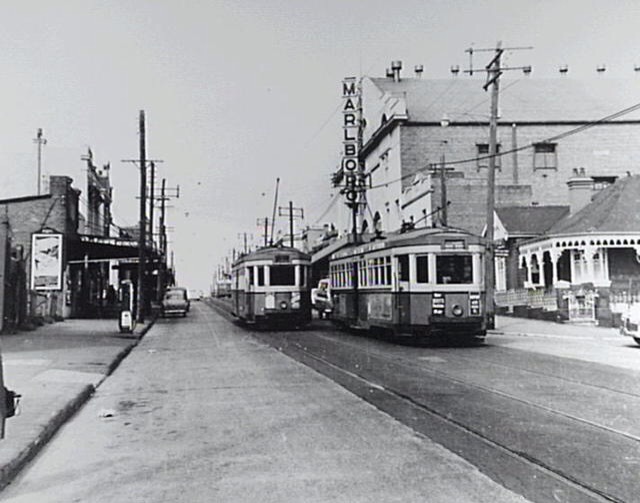 It was situated on busy Norton Street just off Parramatta Road in the Leichhardt suburb of Sydney. 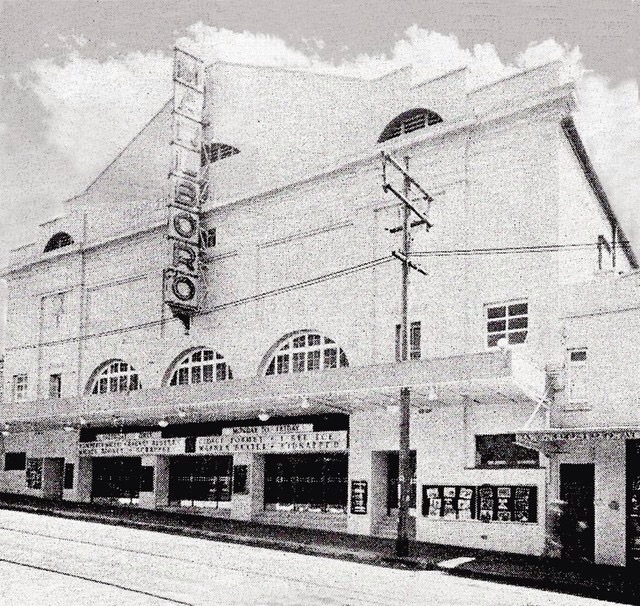 The Marlboro Theatre opened in June 1920. When CinemaScope arrived the Marlboro Theatre had the widest screen in the area. It was a favorite for action pictures. The Marlboro Theatre was closed in July 1960. The above image is taken looking south along Norton Street towards Paramatta Road. The parked cars on the left are approximately where outdoor seating is provided by cafes and restaurants, including, one of our favourites in the area, Aperitivo. The new mural was painted to commemorate the revitalisation of this area. I love history too; sometimes the most intriguing history is for the things just in front of us. I totally agree, I often wonder about the tales buildings could tell, especially when I see the undeveloped parts above the ground floor .